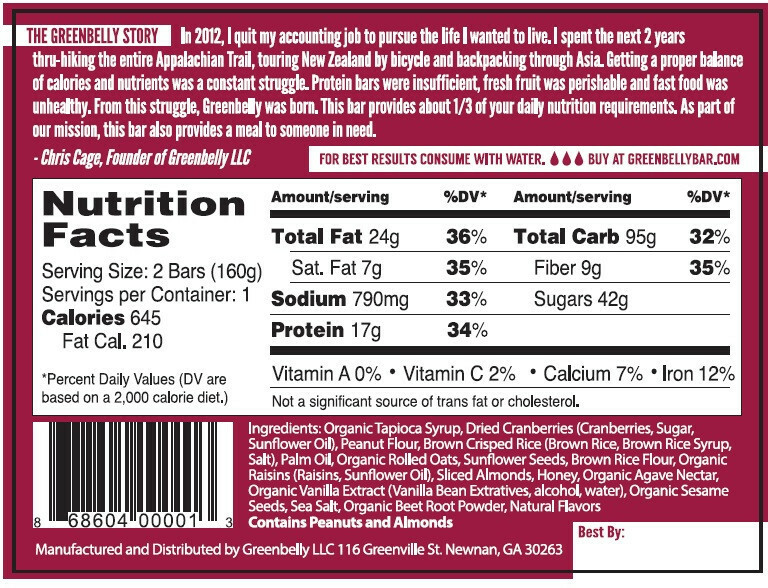 Today I want to take a moment to talk about the Greenbelly Meal Bars. In a market that is already flooded, one really needs to ask the question, “do we really need another bar to pick from?” — and the answer to that is, uhh, yes!!! It seems as if the meal/bar business is just booming these days. We have companies making bars for crazy niche markets. Buffalo bars, paleo bars, vegan and gluten free bars, protein bars, and the list could go on all day. I first heard about the Greenbelly Bars from, I think either Chad or BBB. I remember checking them out at the time but I already had a massive supply of the bars I typically eat, and the $50 price tag just to give them a try was a bit more than I wanted to spend. If they had an option to buy a trial option that was just one pack of each, I probably would have, but buying four packages of each flavor, as a ‘trial’ was just beyond what I was willing to try. If they sucked, I’d have a whole bunch of packages left over, eh. Hopefully this is something that Greenbelly can offer in the future. Gratefully they sent me a sample package that was just one package of each flavor, so I have gotten the chance to give them a try. And, if I did not like them, I would not be writing about them! 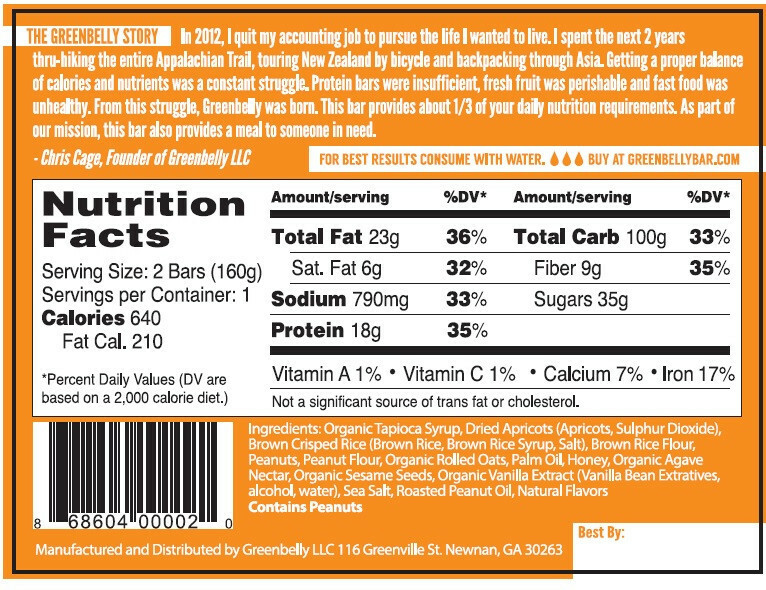 I do not want to go into the whole back story of the Greenbelly Meal bars, as that can be found here, but I do want to go into my thoughts on a sample package that they sent me. Each package has two bars inside of it. The package is a bit overkill, and does not have a way to close — rather important given there are two bars inside — and that is something they are working on getting changed I have been told. They are also looking into non-mylar bags for more on-the-trail environmentally friendly disposal. Some of us really do pack out our trash, and with packing of this size and weight, it can add up to a fairly big/heavy trash bag we are lugging around, especially if we are out for a week+ at a time. They bars are not tough and not too gooey. I was personally hoping for something with less big chunks in it, and more important to me, more pureed in style, but that is just me. They are a lot softer than most bars with a lot of nuts in them, I will give them that. 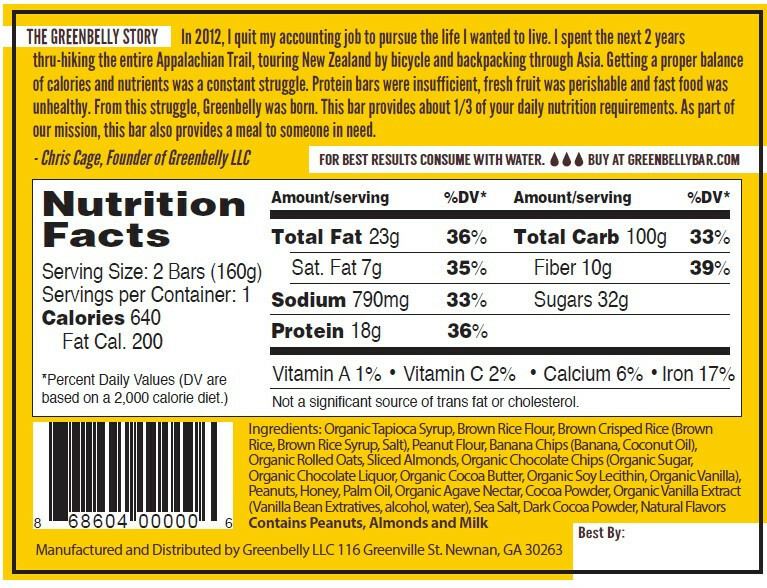 So Greenbelly offers their bars in three flavors. As most long distance thru-hikers know, the problem with bars is that they get old really fast. The same flavors day after day after day after day… uhhhhggggg. 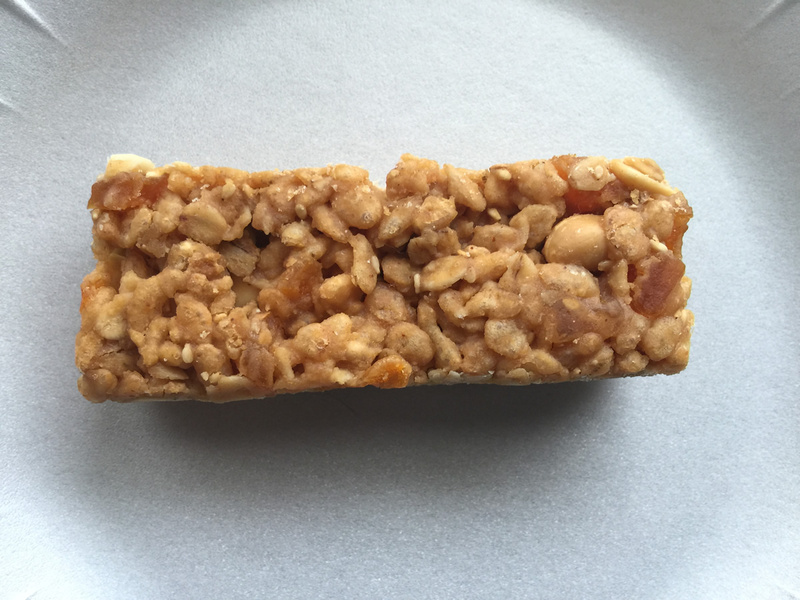 There is a reason most hiker boxes are crammed with bars. People get sick of them and want something different. Thankfully for me that is not a problem. I can eat my favorite bar, the probar blueberry fuel bar, for weeks on end without getting tired of them – I know, that’s just soooo wrong. I suspect a long distance hiker would want to mix these up, with other bars from other companies, just to keep things different enough. Gotta keep pounding those calories and such somehow, and not everybody like straight up GORP. I was looking forward to this one the most. Huge coffee lover, massive banana fan (I eat three through five a day!) and dark chocolate… come on! Unfortunately I did not find enough of a ‘pop’ in my mouth with this flavor. All the flavors were there but it did not really have that “oh man” stand out flavor. That said, unlike a lot of other bars that attempt to mix flavors together, which end up just being “omg, spit this out”, Greenbelly did a really good job of melding the flavors to not have a standout flavor, and that seems to be their goal, so they achieved it very well. To me though, the bar just needs a bit more cocoa powder to have that flavor really stand out. I am not a whole peanut fan, never have been. And apricots are usually too tangy for my likes. That said, this ended up being my favorite of the three. It really did meld together really well. 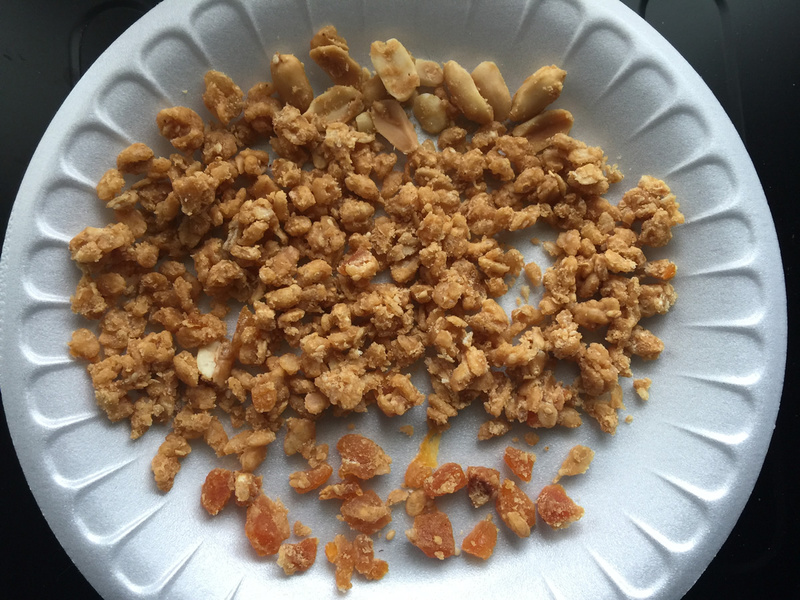 Would like to see smaller pieces of peanuts though. I would buy these by the cases if all of the non-fruit pieces were cut much smaller/finer, in fact, if they were super soft, pureed, like the probar fuel bar, my favorite bar to consume, that would just rock. They really did nail the flavor on this one. If I had more than one package, I would have put one of the bars into a blender and pureed the sucker to see just how amazing that would be. 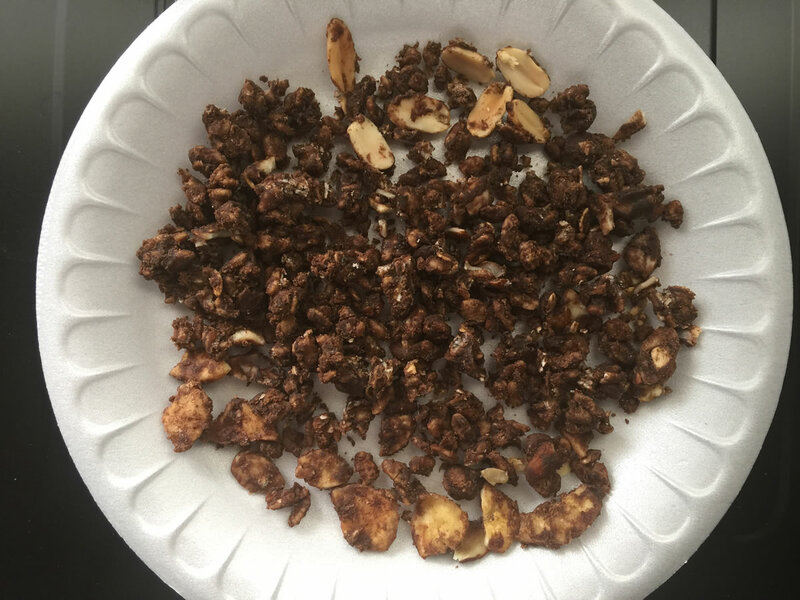 Ok, I am not a cranberry fan or an almond fan, in fact the only nut I hate more than almonds are walnuts, so pretty much anything with almonds in it gets a down-vote from me. Thankfully the almonds were not whole and I could only find a couple of very thin sliced almonds. The thing that surprised me the most about this bar was the sunflower seeds. I love sunflower seeds. Not sure they would go with the other two bars, but it made for a nice surprise in this bar. 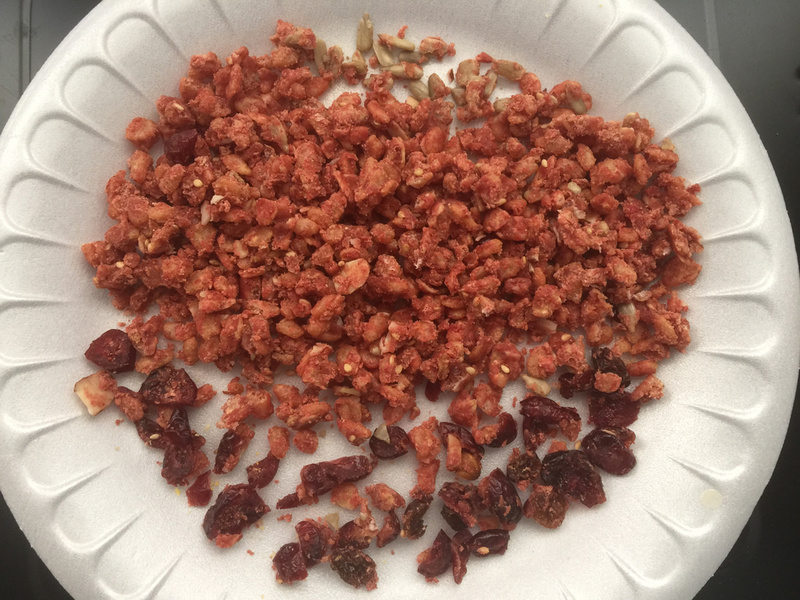 The pieces of cranberry were not as tart as I thought they would be, so that was also a good thing. All in all, this bar really surprised me, it had none of the flavors I usually despise. Like with the Peanut Apricot, if they were to turn this into a were super soft, pureed, bar, that would score huge additional points in my book. But, I realize that not everybody likes super soft pureed style bars, HYOH/YMMV. One of the big selling points of the Greenbelly bars is that they were designed to be a complete meal. As I have been told, if you were to eat six bars (three pouches) a day then you would get your nutritional needs for that day. That, however, seems (by looking at the nutritional labels) to be based on a “2,000 calorie diet“. I think most thru-hikers, which is what these bars were designed for, need a weebit more than 2000 calories per day. I know some only need that much, but the vast majority of long distance thru-hikers need more than 2k, more into the 4k to 6k range, so that would mean an increase from six bars (three pouches) to 18-24 bars (9-22 pouches) per day, if all you were eating were these bars. At about a buck per bar, that would put your daily food expenses at $10-20. That is not all that unreasonable, but more than a lot of long distance thru-hikers want to spend. 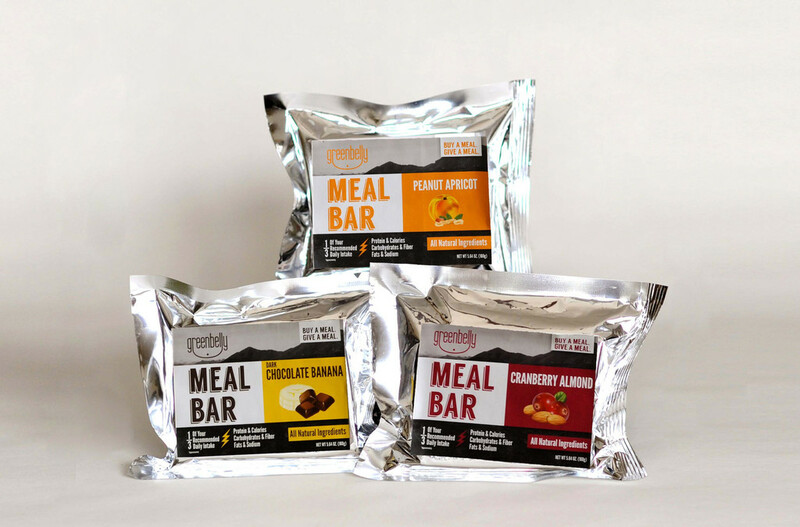 An idea I have had is what kind of success would a person, already at or near this level of diet/nutritional intake, have if they attempted a thru-hike with nothing but these Greenbelly bars and Soylent. Scientifically, given the nature of both of these products, one would think that this could make a very ideal way to approach a long distance trail when it comes to food. The weight-to-results seem to be impressive, and the cost-per-day are also reasonable, so it would really just all come down to the math and the science and the hikers already adjustment to these foods. Could it be possible? I think so. Chris, the guy behind GreenBelly, and I thought it would be fun to have my article come out the same day that he was starting up a kickstarter campaign! He needs some funds to take things to the next level, and while I typically have come to not like kickstarter, I have found these GreenBelly bars to be something worth sharing about. The big things I am looking forward too, once the kickstarter reaches its goal, are: (a) a new style of packaging – really need a more hiker friendly (ie: environmentally disposable friendly) of packing, and (b) the packaging needs a way to close – eating two of the bars at once is something I have not been able to do, (c) the ability for him to be able to make larger batches to keep them in stock, and lastly, (d) hopefully put some effort into make some pureed style bars! In accordance of USA Federal Trade Commission 16 CFR, Part 255: I hereby declare that at the time this article is published that I am a sponsored hiker of Black Rock Gear, Montbell US, Suluk46, Sun Precautions, Suntactics. The Greenbelly bars mentioned in this article were provided to me by Greenbelly to try and review. These bars do sound good. I love that they pack a lot of calories per bar. 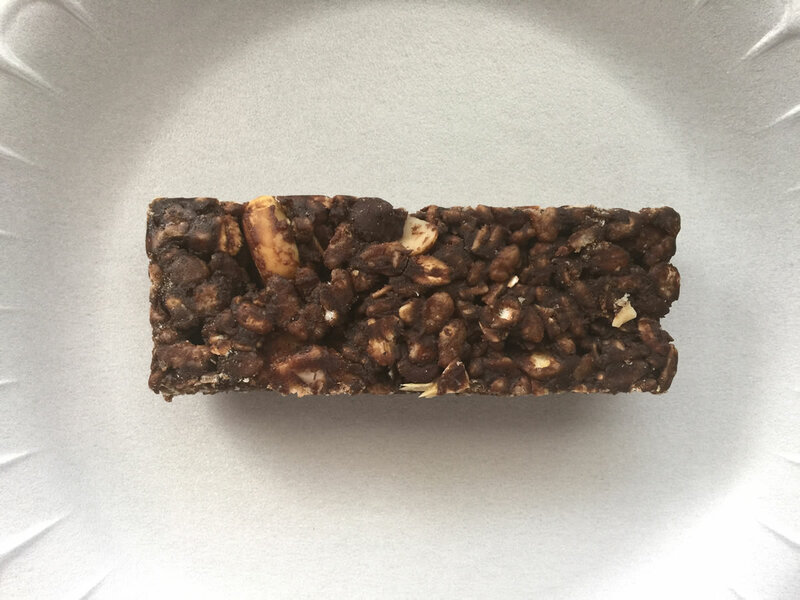 Unfortunately, like so many complete-meal bars, they contain oats which I am allergic to….. I do wish them luck in meeting their goal with Kickstarter. these bars look tasty. 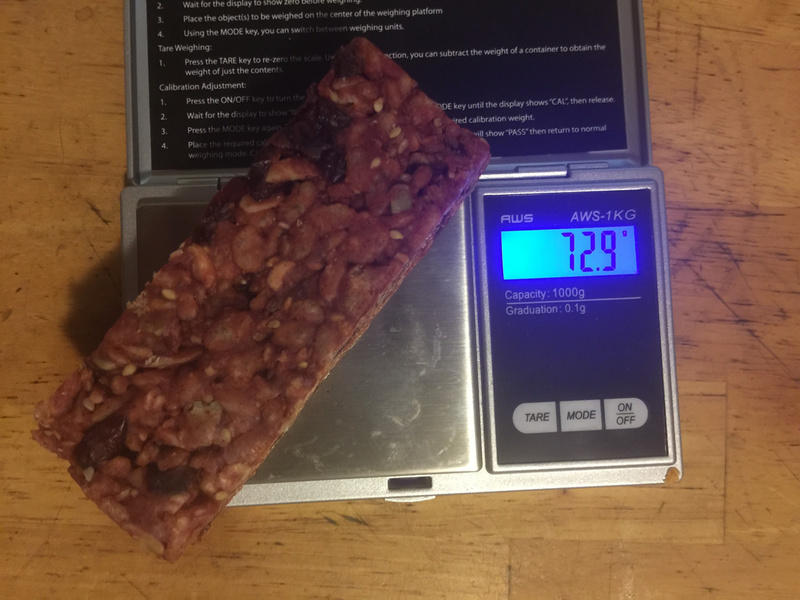 saying that, I’ve tired of buying bars at rather outrageous prices and just get bars from the market and supplement with other lightweight foods. I will say that they sure pack a calorie punch at 320 per bar but they are heavier than most bars too. -interesting article John. It looks like prices on these have gone up since your review. They are now $65 for 9 “meals” (i.e. I assume 3 packages, of two bars, of each flavor). Sounds interesting, but it would be hard to purchase that many if I did not like them. Thanks for the review and info.